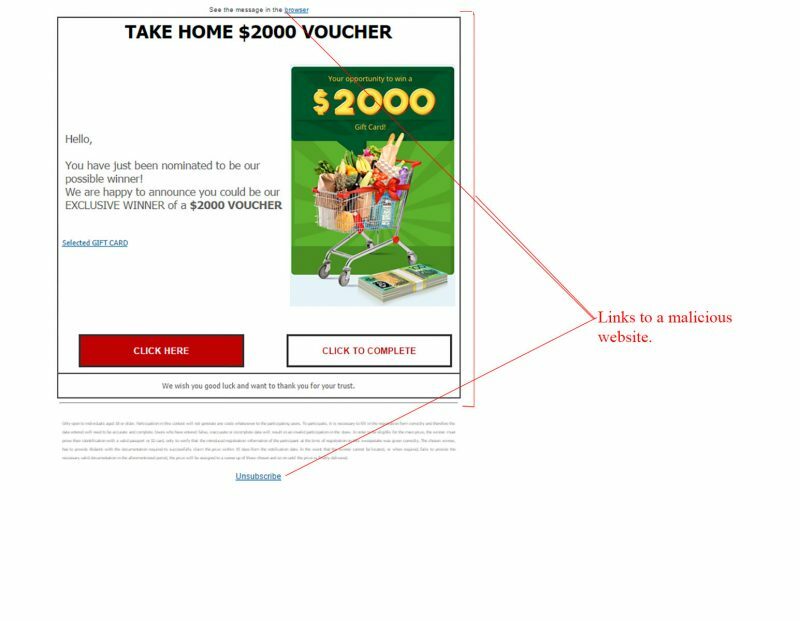 An email claiming to give you the chance to win a $2000 gift voucher to a store of your choice has been caught by MailShark spam filters. It does not seem to be sent by any known company and is made to look generic. Keep reading to find out more about this email scam attempt. Figure A is a copy of the email in question. It is generically branded and the authors have used as many links as they could, in the content itself, to increase the chances of click throughs. There are two main call-to-action buttons sayings “CLICK HERE” and “CLICK TO COMPLETE” which are common, pushy, spam tactics used by scammers. The email’s subject line reads “EXCLUSIVE WINNER of a $2000 gift card!”, which is an attempt to attract your attention. The sender is shown as “Congratulations!” and the email address used is clearly spam related. Clicking anywhere within this email is dangerous and even the top “browser” and bottom “unsubscribe” links are malicious. We strongly suggest you remove this email from your inbox. Figure B is a safely captured screenshot of the website you will land on if any links within the email are clicked. It is a generically branded web page with the only purpose of getting you to click again, which may lead to a malware infection on your computer. 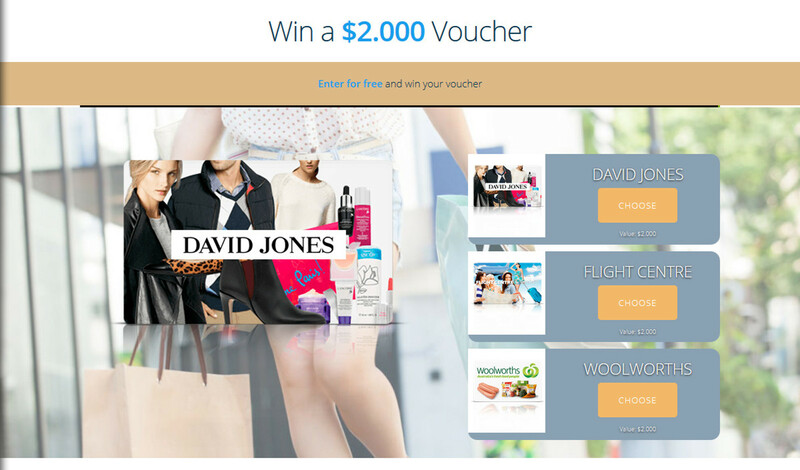 It does this by offering the stores you can receive the voucher to, and asking you to click ‘CHOOSE”. Do not click anywhere on this website – close the window and run your anti-virus software straight away. Deleting this malicious email from your inbox is the best way to stay safe. We highly recommend ignoring and deleting any giveaway (especially gift card related) emails, as in our experience they are never legitimate.